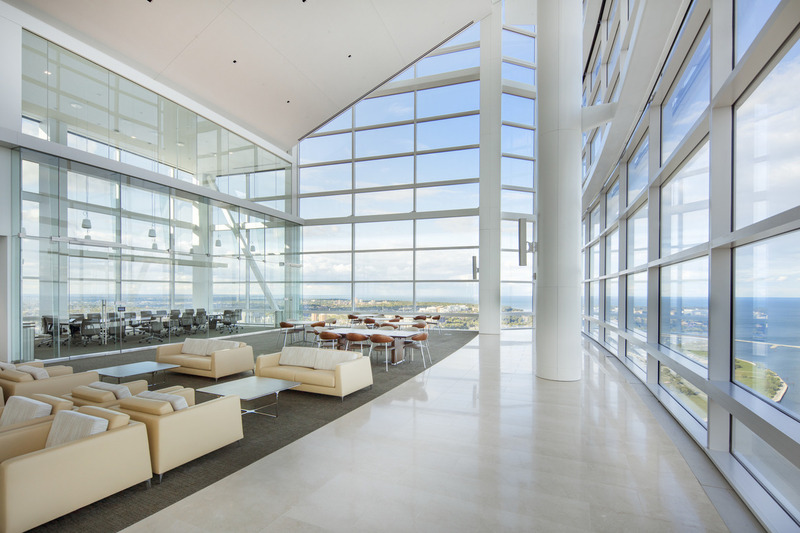 Implementing best practices in workplace design, the elegant thirty-two story glass office Tower’s gently curved form at the eastern edge of the campus embraces the gardens and maximizes panoramic views. 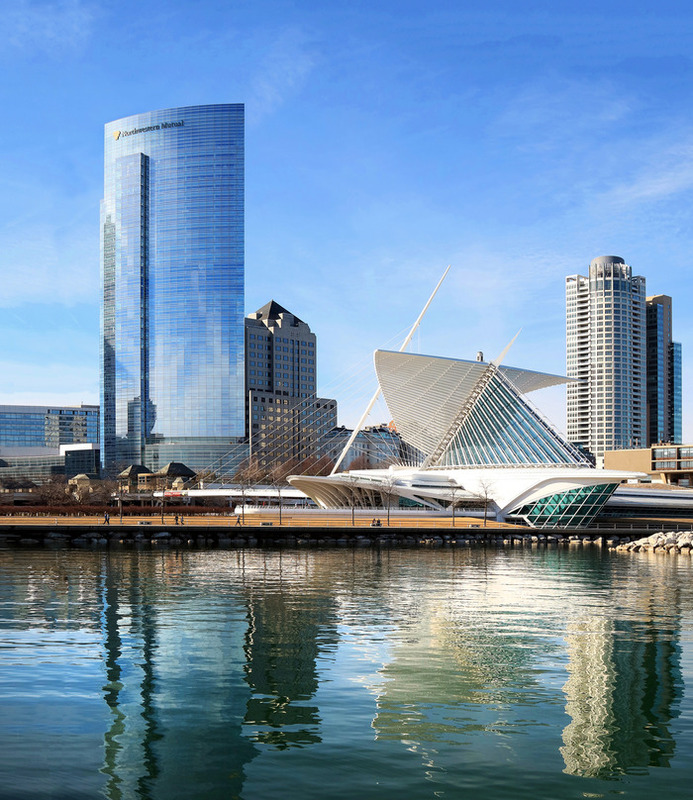 It culminates in a crisp prow marking its position overlooking Lake Michigan, and serving as a proud beacon. 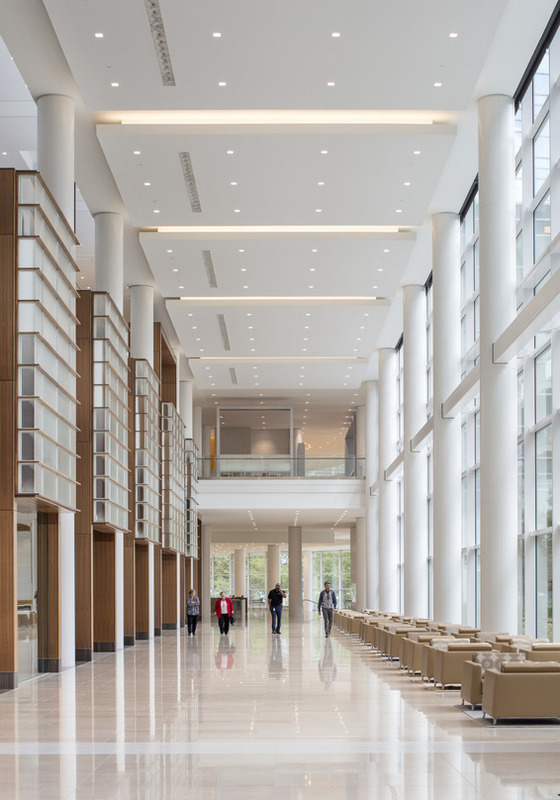 As the heart of the project, the Commons creates a cohesive, clearly organized campus that serves the entire Northwestern Mutual family. 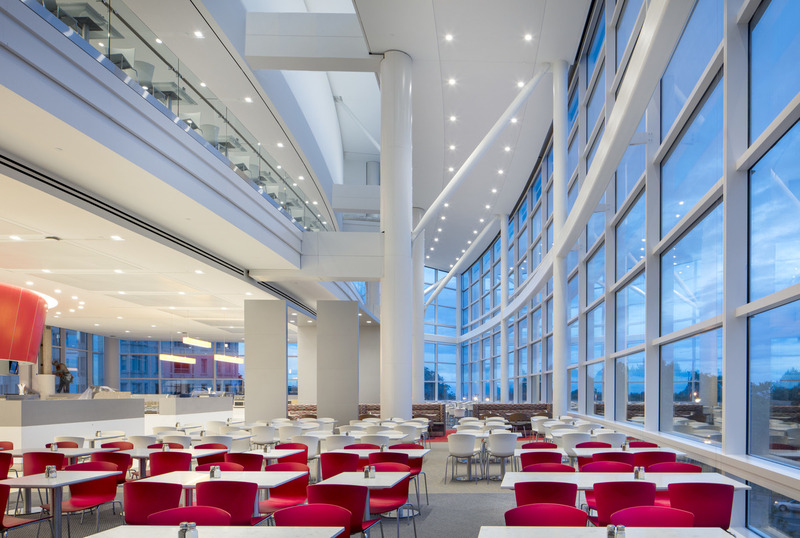 The Commons provides training facilities, meeting spaces, dining, and terraces overlooking their enhanced gardens. 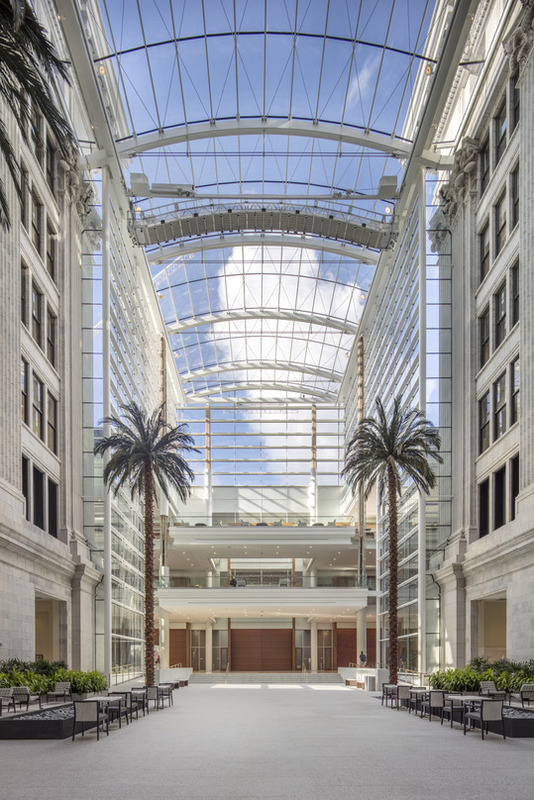 Nestled in the historic 1914 headquarters, a skylit atrium knits together the old with the new. 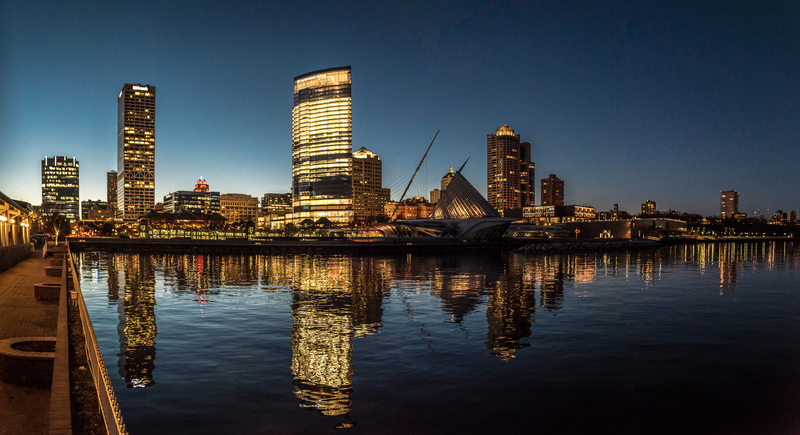 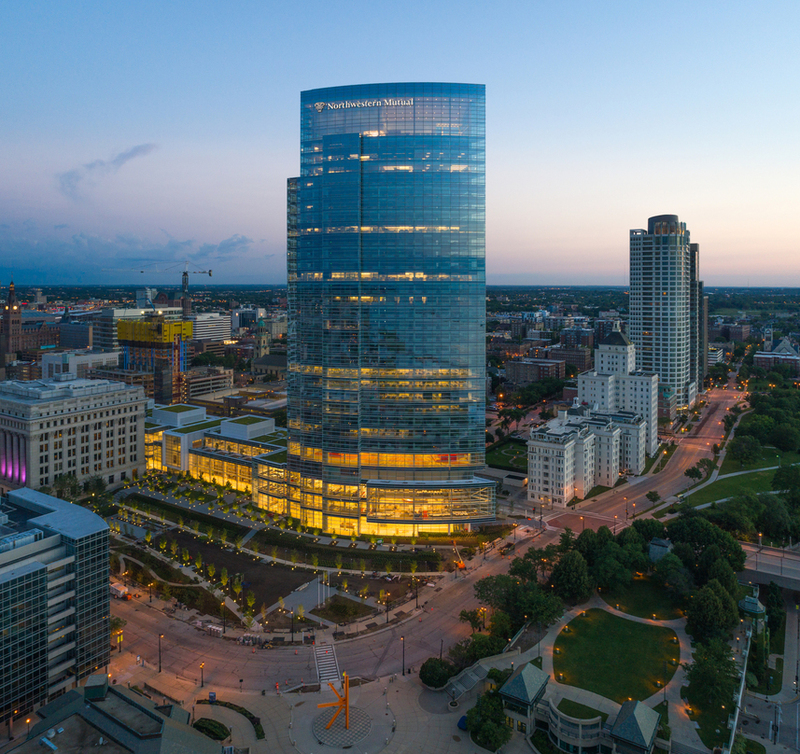 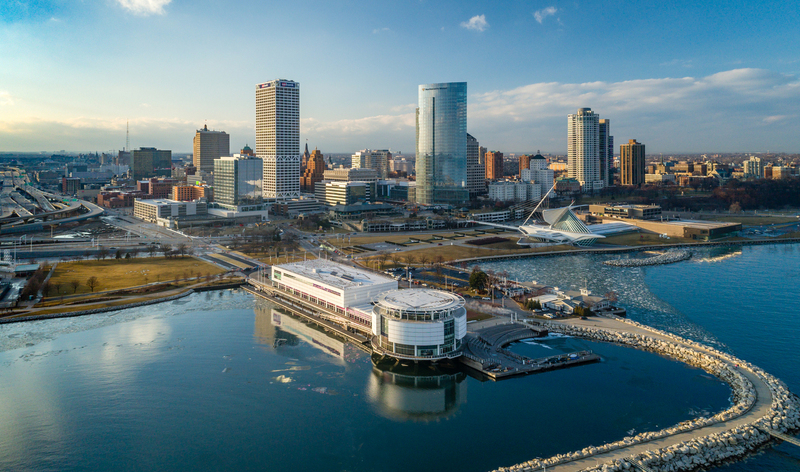 Reinforcing Northwestern Mutual’s commitment to Milwaukee, ground level concourses, exhibits, and dining spaces welcome visitors. 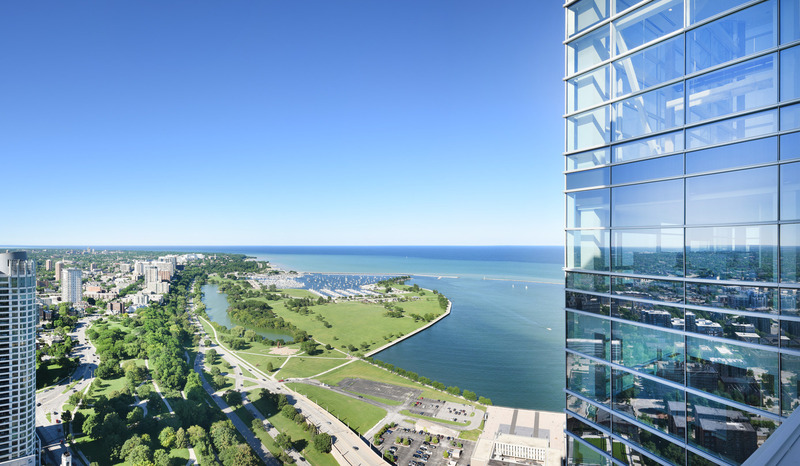 The three-acre gardens and pedestrian-oriented streetscapes will reinvigorate the lakefront district’s urban vitality.